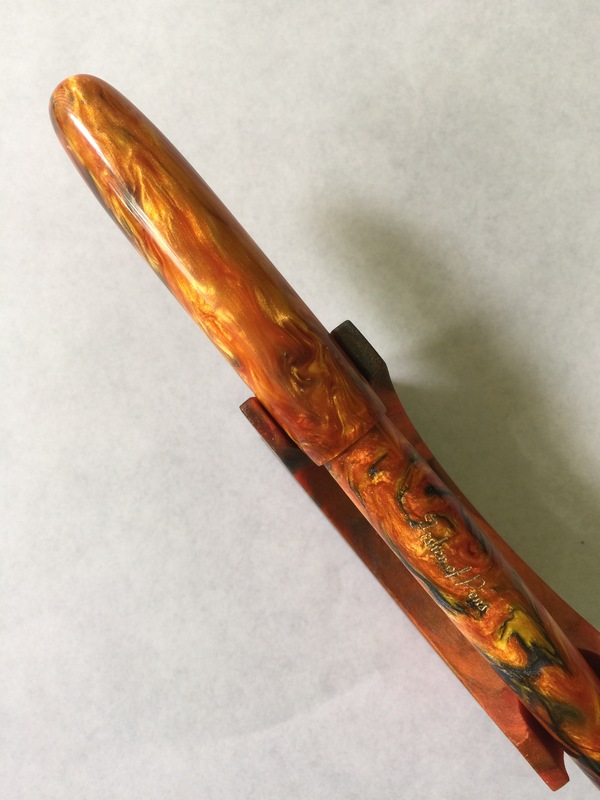 Such a beautiful pen! Thanks for the shout-out, Mary! And you’re MY twin in Hawaii!! Miss you! Thank you for the mention, Ray! WOW! 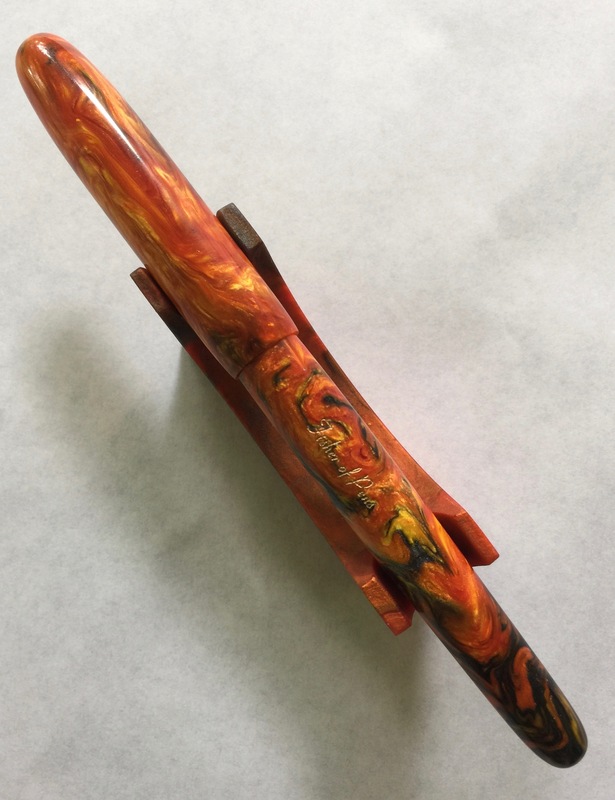 That is a beautiful pen. I am a beginner still with fountain pens, so please, what is an architect grind on the nib? Is it like an EF point? Also, how do you buy a “wet” nib? I figure it must have something to do with the ink it holds? I’d appreciate any answer you can give. I’ve wondered about a wet nib since I read about then in Pen Magazine, but they never explained it either! If you go to this link (mDan Smith, my nibmeister), and scroll down, you’ll see a good description and photo of an Architect/Hebrew grind. As for the wet nib, some nibs are drier and some are wetter (for whatever reason). It also depends on the pen and ink combo. A nibmeister like Dan can adjust the nib for the desired wetness. I don’t mess with my nibs myself. That’s what the experts are for!